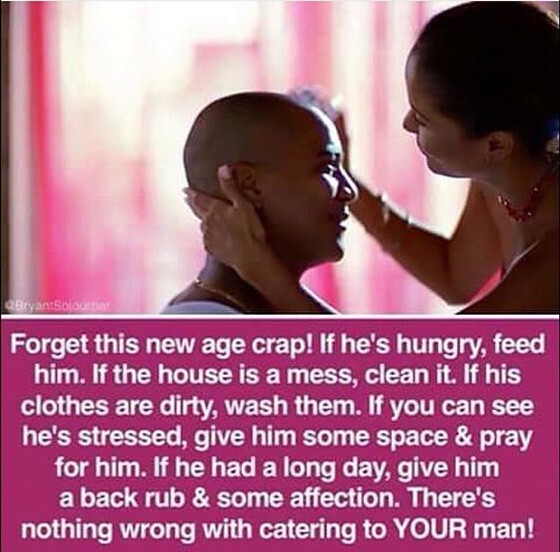 CATERING TO YOUR MAN - Onome Talk Am! Very nice points here but am tempted to ask does doing all these things keep a man? These are the things a woman in love does with ease,in fact I am a staunch believer in making one’s man feel like a king, that doesn’t make the woman a slave by the way. A reasonable man that is being treated like a king by his woman knows best not to mess with her. So many arguments out there about the things a woman needs to do to keep her man,the society now blames the failure of marriage or any man-woman relationship these days on the woman. A man walks out on his marriage,tongues start wagging about how his wife characters drove him out, he chose to have an extra-marital affairs,they say there is something his wife is not doing right. Does a man need an excuse to stray? CAN A MAN BE SNATCHED?